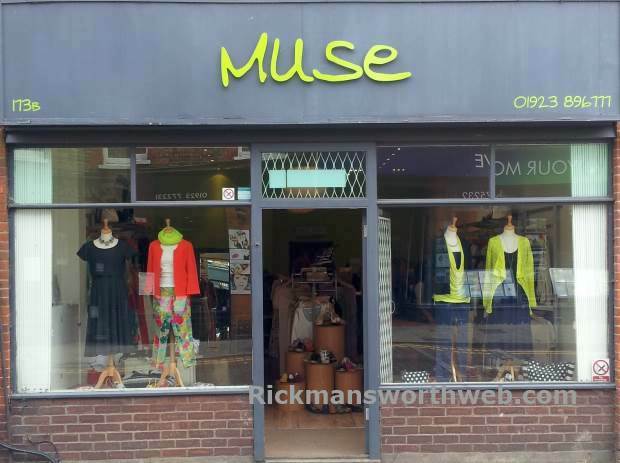 Muse Rickmansworth is part of a chain of three stores set up in 2003. Located on the High Street, Muse has built a loyal customer base and fabulous reputation for their friendly and personal customer service, their beautiful, unique clothing and a recognisable passion for fashion! They also have a website, and are a small company, meaning they are able to personally see your order right through to delivery. Muse adds stock weekly, so why not personally visit and see their full range of fashion for yourselves?